Although it’s divided by language, politics and culture, Belgium’s strength lies in unity when conquering national and foreign markets. Let’s explore its music industry, that represents more than 250,000 jobs. The Belgian music market experienced a five percent growth in 2015. According to the GfK, this was the first time in 15 years that the market recorded such a rise, a phenomenon mostly due to massive growth in subscriptions to stream-on-demand services. The retailer believes that certain major companies will shift away from stores such as his in the near future, in order to sell their CDs to chain stores. Meanwhile, the extent of second-hand reselling might be hard to pin down, but it’s likely to negatively affect the sales of CDs and vinyl by only a few percent. The market share for digital music sales now amounts to 37 percent. The BEA has noticed a decrease in downloads, which represent nine percent of the digital marketplace. Music streaming, however, is growing steadily and currently, covering 40 percent of the market. In Belgium, downloading audio and visual works is illegal in theory when it’s done without the author’s or the copyright owner’s authorization and if it’s downloaded from an illegal website. The offender may be prosecuted and incur civil and penal proceedings or fines, which are less severe than those against the illegal downloading platforms. The law pertaining to this sector is regularly amended, as its judicial frame is getting more and more precise. The latest version goes back to 2015. Even though Belgium has had cable TV for 40 years and now boasts an impressive choice of channels, with numerous national ones – a dozen Dutch-speaking and half of them French-speaking –, none are broadcasting any music-related programmes (apart from the fairly unknown D6bels on RTBF). There are also many segmented music radio stations in both languages, especially the national French-speaking radio Classic 21. It’s geared towards a mature audience, playing old or aging rock, while Pure FM targets the 18-24 age group. On the Flemish side, Vrt is more general, while Studio Brussels broadcasts all forms of modern music. 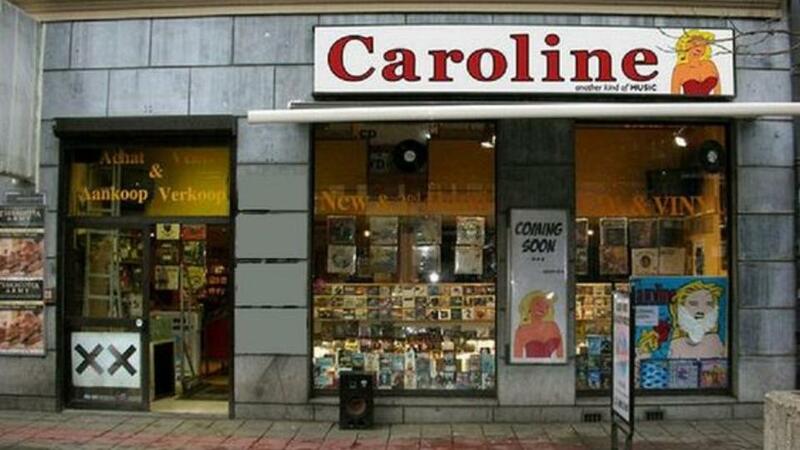 The main Belgian record labels are CNR, NEWS, Petrol, Play It Again Sam, Studio 100 and the Sowarex label of the Cultural Department of the Wallonie-Bruxelles community. 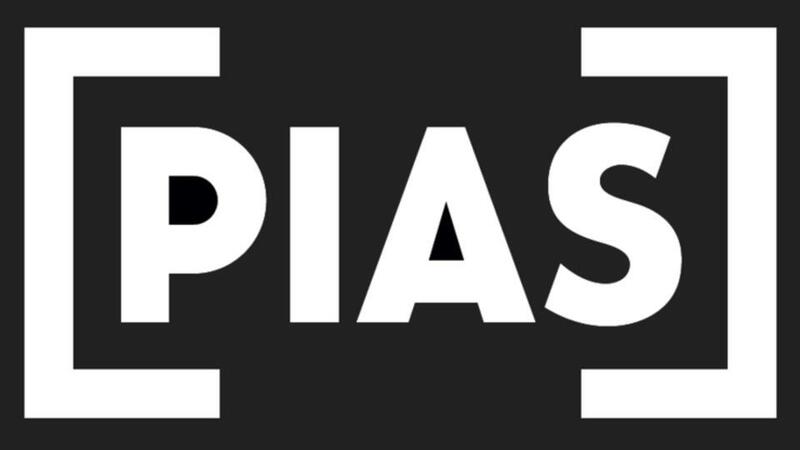 PIAS deserves special praise as a Belgian record company (owning both national and international structures), and it’s known as one of the most important small record labels in Europe. They compete with the majors who have their offices in Belgium, and even on the Benelux market. When it comes to the press, 2016 witnessed the end of RifRaf – a free magazine that had been available in record stores for 27 years in Flemish and for 22 years in French. It was created just after the well-known Mofo, thanks to the efforts of a young local politician who was there at the beginning of Dour Festival and then became Secretary of State. Why did they stop? Because of the progressive disappearance of the advertising manna and the structural crisis of the music industry, as well as the cyclical impact of the terrorist attacks in Paris and Brussels that targeted concerts. The only specialised music press left are Poppunt and Larsen. The former is a Flemish quarterly magazine focusing on national releases for a quite restricted audience, while the latter was established by the Department of Culture of the Wallonie-Bruxelles Federation as a sort of His Master’s Voice (HMV). In addition, the “national” daily papers (De Morgen and Le Soir in particular) and the weeklies (Focus, Humo or Moustique) also devote pages to music. It’s hard to separate Belgium into two lands, considering that it’s divided more according to layers – local artists, a professional village of labels and managers, bookers, venues and their attendance. All five combined make one land, a sort of black-yellow-red lasagne that heats up. Having an artistic point of view, venues such as AB (Dutch) and the Botanique (French) are trying to overcome the language gap. But even though the two communities are working together, there is still a management frontier that largely depends on geography. 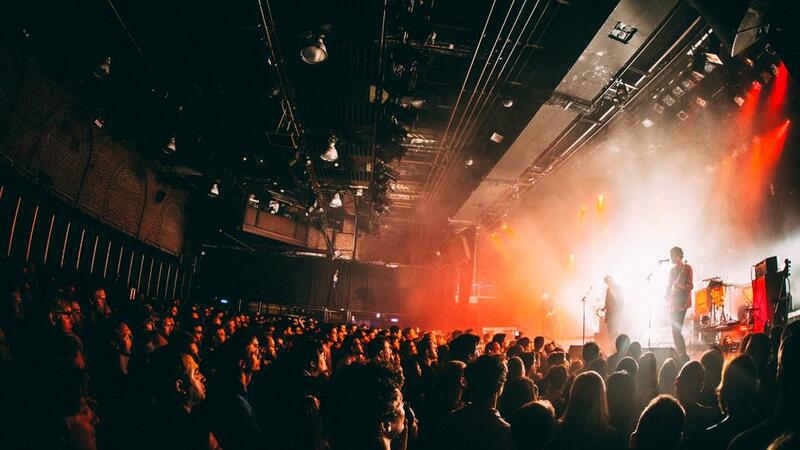 Even though the community distinction is very strong for venues and festivals, it seems that the dynamic goes along with the politics of the cities such as in the case of the Cirque Royal venue in Brussels, which is now managed by the city. According to Paul-Henri Wauters, Deputy Director of the Botanique, this is causing a disruption, a new kind of mutation that’s not going to contribute to creativity or its outreach. The other major mutation of the industry is due to the drying up of its main source of funding: the physical media. It has been alienated, out-fashioned, even, by a virtual branch that makes it hard to get revenues. However, the artists still need labels or distributors, whether they are virtual or physical. PIAS is trying to adapt and get rewarded for its work as artists’ promoters by claiming a share of the concerts benefits, for example. Each player is trying to put their foot down in a field they hope will be special. In the meantime, they expect to get others’ shares. Other artists are trying to be self-licensed and get the full copyright of their own performances back from collective organisations such as SABAM (the Belgian Association of Authors, Composers and Publishers). The recent terrorist attacks have confirmed a strong trend about music attendance: “We’ve noticed that our audience has not decreased since the tragic events,” says Paul-Henri Wauters, “but rather returned to a certain form recognition threshold.” However, when you are an unknown artist, the further away you go from the threshold, the lower the attendance gets. The live music economy also tends to dichotomize. Since the decline of CDs, artists seem to be separating their points of view and incubation periods in venues from their “income” operations over the summer. During that season, the more money bankable artists are going to ask for, the higher the ticket prices will get and the less income other “cost-effective” artists will receive. That’s why the big selling acts in a sector tour with their own support acts, who are asked to pay a fee. This enables young artists to perform in front of a larger audience than a promotion manager could get them. Because of rising ticket prices, the parents pay for the tickets of young audiences. As an adult, they won’t always go and discover new music, but prefer mature, more spectacular artists. According to Wauters, new forms of concerts are appearing, recalling the spirit of the first rave parties, along with new ways of listening to music. Artists now gather audiences in places away from the classic venues, including hybrid forms such as the Tomorrowland amusement park. In Flanders in the beginning of the 1980s, festivals appeared quicker than in Wallonia. Following Torhout-Wechter and Bilzen, the southern part has developed a bit later. In Flanders, the audience likes to support local artists. The buying power is also more important on the Flemish side, which means that over the summer period, the spectators are more inclined to buy festival tickets, which isn’t the case in Wallonia. The Flanders population is also more densely distributed and more urban. Flanders is more suited to larger gatherings, even though there has been a certain decline following the crisis, just as in Wallonia. The Verdur Rock festival in Namur, which is one of the oldest in Wallonia, has just thrown in the towel. Is uberisation of the music industry to be feared? It’s quite possible, says Wauters, who thinks a type of parallel economics are evolving, such as apartment concerts. Agents organize concerts on their own; labels throw their own gigs, for example PIAS and their PIAS Nights. They even created their own venue next to their office, their own record store and restaurant! All of these practices invading the market of venues such as Botanique, which works with 650 bands a year. It explains why jobs and assets are dwindling. Furthermore, sales of merchandise have been growing over the years, especially sales of CDs. The bigger the band, the more merch they have, also due to lower manufacturing costs. Also, the number of professional studios in Belgium has dropped significantly. They’re being replaced by home studios. The French-speaking side gets some assistance from the Department of Culture of the Wallonie-Bruxelles community, the Wallonia region and the Bruxelles-Capitale region. The latter two established Wallonie-Bruxelles International (WBI) and own numerous agencies, such as Wallonie Bruxelles Musique (WBM). WBM regularly carries out measures to increase awareness in the region, as well as foreign market representation, for example taking part in European festivals and showcases. There is a big difference between Flanders and Wallonia in the music field. While it represents a whole industry in the North, it’s just industrial craftsmanship in the South. On the Flemish side, the number of labels, booking and management agencies is larger. There is true music movement in the media, as well as a strong sense of identity, real awareness of the importance of cohesion in the promotion of international projects. Meanwhile, in the French-speaking part of Belgium, it’s more complicated due to the fact that it’s close to France. “It’s quite a small territory and market and it’s rather complicated for small institutions to promote artists to the point where they can earn a living from focusing only on the French-speaking parts of Belgium,” explains Julien Fournier of WBI. The means of creation and broadcasting in the French-speaking parts of Belgium depend on the government, which is in charge of all the national artistic creation and promotion. Meanwhile, the WBI covers the international market. In Flanders, the national radio is efficient in promoting its own productions. In the music sector, RTBF (Belgian- and French-speaking radio and television) is often questioned by many industry professionals due to its inclination to broadcast the releases of the Wallonie-Bruxelles Federation. In French-speaking Belgium, you are expected to be successful in France before coming back – this is politely called the Jacques Brel effect. Being subsidised, RTBF must be self-sustaining from advertising and therefore targets very specific markets. WBI is working on two major initiatives – supporting and helping projects in the long term and representing others at foreign festivals. They’re the mastheads for projects abroad. They’re also organizing specific promotions, such as distributing flyers at festivals, putting up posters, raising awareness, networking and helping Belgian and foreign professionals to connect with one another. In short, they’re the chamber of commerce of the music industry. 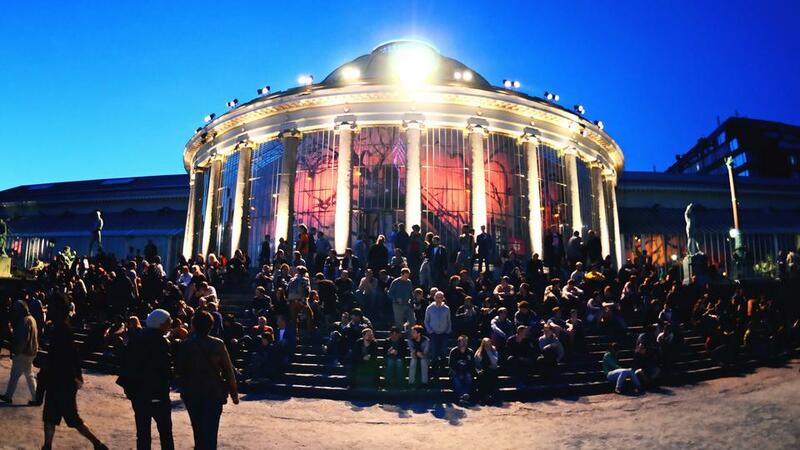 Besides participating in showcases abroad, WBI has partnered with the Belgian festivals Les Nuits Botaniques (organizing a Belgian night called “Nuit belge”) and Dour. The partnership with foreign press is limited to publicity for the moment, but WBI seems to favour curators – recognised and independent personalities in the Belgian music industry, who are more inclined to be listened to by their audience and who enjoy credibility. WBI is asking these curators for their opinion on the artists they intend to promote, in order to target an audience of professionals abroad via social media. The selection leads to many programs such as international promotion, support on tour or on showcases abroad, and showcases with the SABAM.